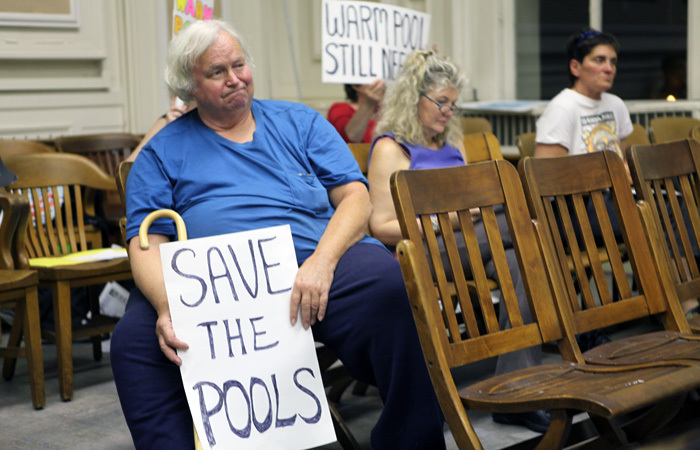 Berkeley community members advocate for the reopening and renovation of the city&amp;#039;s closed pools. Berkeley City Council voted Tuesday to place a $19.4 million bond and $604,000 parcel tax measure on the November ballot that would fund construction and renovation of the city’s swimming pools. 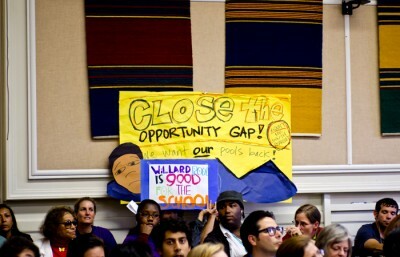 If passed by voters, the measure would build a new warm water pool to replace the one that closed down last December at Berkeley High School, renovate the pool at Willard Middle School and improve locker rooms at King Pool in North Berkeley. The $19.4 million bond was lowered from $20 million, which city staff estimated would have cost approximately $25 a year for a Berkeley homeowner with property value of around $330,500. The parcel tax would cost about $15 for a homeowner with a 1,900-square-foot home to fund the estimated $604,000 operational costs for the pools. 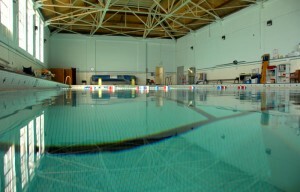 The council’s unanimous vote marks a milestone for pool advocates who support the “restoration” of the city’s pools after an unsuccessful attempt to pass a pool measure in 2010 under Measure C, which narrowly failed during the June 2010 primary election and would have generated funds to renovate the pools. 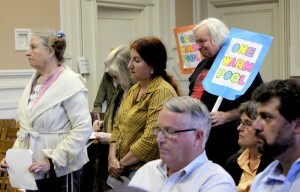 More than a dozen community members spoke at the meeting in favor of the measure, highlighting concerns of accessibility to swimming pools in South Berkeley, availability of a warm pool for individuals with disabilities and overhead budget cost, which several community members suggested could be reduced by hiring an impartial external project manager. Katya Rochell was one of a handful of community members who spoke on the need for a warm water pool for residents with disabilities. Since the closure of the last warm pool she said she has been unsatisfied with her next closest option. Another measure proposed for the November ballot includes a $30 million bond for watershed and street improvements. Debate on the measure was centered on what the focus of the proposal should be, with council members split over both watershed and street improvements. The watershed measure will be discussed and possibly voted on at the July 10 council meeting. The council will need to make a decision regarding the measure by the July 24 meeting in order to place the item on the ballot.